Now, I am still of the opinion that the dogs should *not* be expecting a visit from Old Saint Nick this year (bad dogs! ), however, we live in hope. 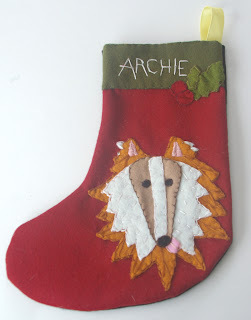 I was charged with creating stockings for the canines, and wanting to stretch my embroidery muscles a little, I went to work on Archie's stocking. I drew out the stocking shape and used it as a template for front and back. All the pieces are cut freehand from wool felt (thank goodness for shaggy dogs~ no precision required!). Some creative piecing and a stylized Sheltie emerged. 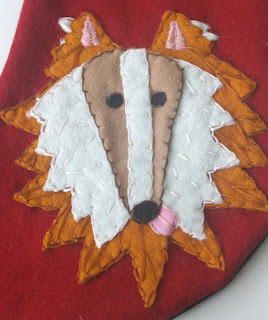 I 'tacked' all the pieces in place with a bit of glue, worked a simple few stitches and it came together rather nicely! I machine stitched the front to the back when all the handwork was completed. The great news is that Rowan has decided that this design will suit Puppy just fine, as long as I add the jingle bells. 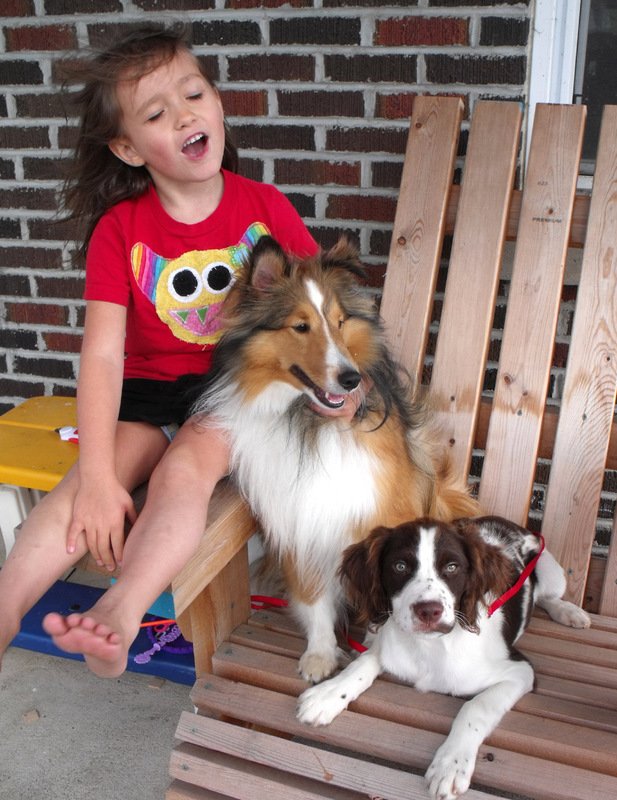 And Hooligan needs one, too!